Revolution Slider Error: Slider with alias search-rescue not found. Severn Area Rescue protects life and property through the provision of a professionally trained, specialist rescue service for marine and land search incidents. We support the emergency services, and are often called by the Police, Fire and Ambulance services. However, Severn Area Rescue is a registered charity (505504). All of our team are volunteers who give up their free time to provide our rescue services, and all of our specialist equipment is funded via donations from the public. It costs approximately £30,000 a year just to keep each of our stations running, and this is before we look at replacing any of the equipment that current equipment that we have. There are many ways to support SARA, by either fundraising for us, donating directly to us, shopping online, or by giving some spare time to our stations. 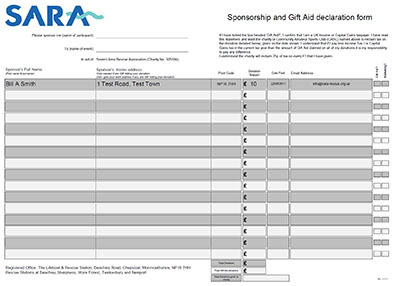 Did you know that you can raise money for SARA every time you shop online? 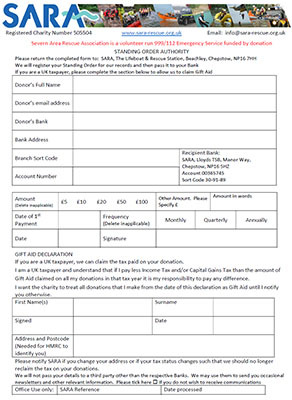 It’s simple to register with Easyfundraising.